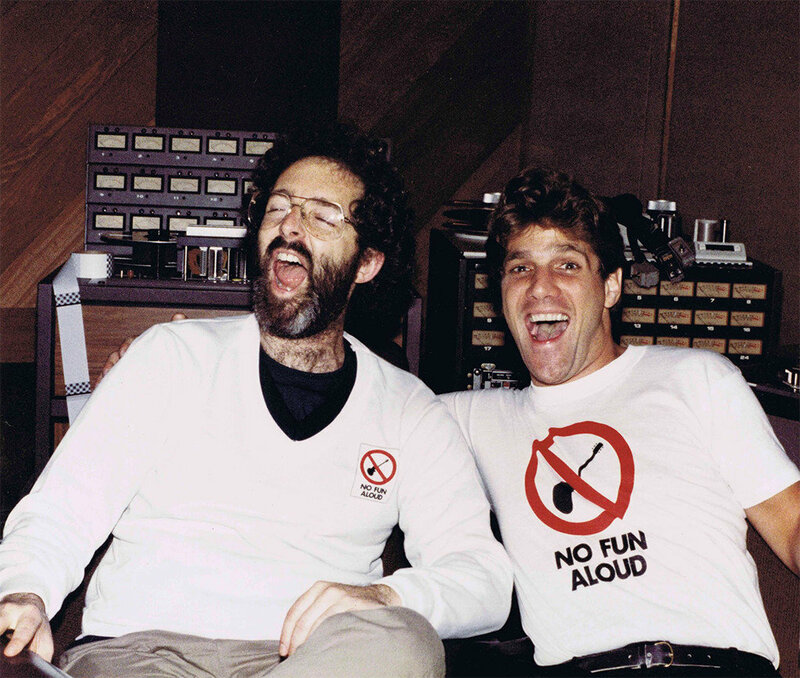 When Glenn Frey died on January 18th, 2016, Jack Tempchin didn’t only lose a writing partner, he also lost the friend with whom he’d shared decades of his life. His other work includes “Someone That You Used To Know” recorded by George Jones and of course, “Swayin To The Music (Slow Dancin)” recorded by Johnny Rivers, Funky Kings, Olivia Newton John, Ian Gomm and Johnny Duncan. 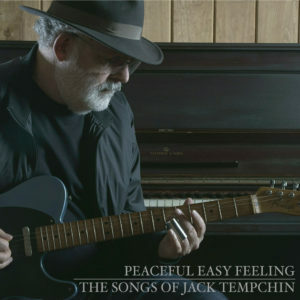 Tempchin is also a solo artist, and in August he released Peaceful Easy Feeling: The Songs of Jack Tempchin on Blue Élan records. We spoke with him about the new album, his friendship and writing partnership with the late Glenn Frey, and how he is grateful for guitar tuners. 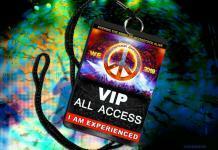 Barry Kerzner for American Blues Scene: Rumor has it that you love the blues. I’m a huge blues fan, and I always have been. I started out as a blues harmonica player, modeled on Sonny Terry and Brownie McGee. My buddy played guitar, and I played harmonica. My story is that at some point I looked at myself and I said, ‘Hey you know, your life is too good. You’re not gonna be able to play the blues. When I was younger I saw Bukka White and Mississippi John Hurt; I saw all these guys come through. They were old but they came through town here, and they played. So I said, ‘Well Jack, if ya wanna play the blues, you’re gonna have to start drinking. And you’re gonna have to lose your girlfriend. You’re gonna have to make some mistakes and end up in jail. Or, you’re not gonna have anything to play the blues about. You have to lose your dog and your pickup truck too! That’s if you are gonna play country. That’s true – right you are sir. So, then I said to myself, ‘Ya know what? I’m not gonna be a blues guy. It’s just not me, and it’s not worth it. I’m never gonna be the real thing, and I don’t want to go try to live that lifestyle either.’ I love the blues, and I still play it a lot, but I don’t record very much blues songs. You know, there’s a lot of Death Metal people that love Beethoven. It is what it is. You have to do what you love and what you can do. In becoming better acquainted with you and your life’s work than I had been, I have to say that you’ve had an interesting go of it. I’m sure that you love what you’re doing because you are still doing it. Your new album, Peaceful Easy Feeling – The Songs of Jack Tempchin is actually your third full-length album on the Blue Élan Records label. It’s been out since August, and the press I’ve seen has been all positive, and the album is being well received. Do you feel as though it has been well received? Absolutely! I’m thrilled! There were four reviews where I could tell that the person writing the review really liked the record. They said stuff like ‘Instant classic.’ and ‘If you buy one record this year, go buy this right now.’ To be honest, I haven’t had that kind of response to my other albums. Probably because this is a greatest hits album and I put song people were familiar with. I’m really thrilled with that. “Slow Dancing” is the only one that either wasn’t written by him, or recorded by him. That’s correct. He and I had a wide range of types of material. We had all types of musical genres we wrote in, so it was really great to do this record, and I’m really happy that people are enjoying it. You have some interesting guests on the album. You have Chris Hillman from The Byrds, and Rita Coolidge, who is SO under-appreciated. There’s also Herb Pedersen and Janiva Magness. Yeah, she’s just a killer blues singer that somehow – she must have lived the life because when she starts singing it’s authentic and it’s real. She was signed to the Blue Elan Label, and I suggest we get together with her for these songs. She was in the booth and started singing, and I thought, ‘Oh my God, this is the real thing.’ Glenn would have really enjoyed the way I did that song because he was totally into blues and soul and all that kind of music. I was very happy to get her singing on there. Then, one of the four songs that’s available if you buy on iTunes, there’s four bonus tracks. One of those is also Glenn Frey called “I Found Somebody” that Janiva and I did together. I tweaked the writing, so it became a duet. I really like that one as well. I was So happy to get her on the record. Kirk Pasich is the owner of Blue Élan Records. He had signed Rita Coolidge, and so we got together to do “Slow Dancing.” I had heard Rita’s records all my life, and I read her book; she has a great autobiography that she just wrote. I had never been in the studio with her. As soon as she started to sing, she’s just got one of these incredible extra voices that’s got so much energy. So we did “Slow Dancing.” I had recorded it, but after she sang it I took all the music off, and I erased everything but this one piano part. So it’s just her and I and a piano. Then we got to do a video by Jim Shea in this movie theater [La Paloma Theater] in my town of Encinitas. This movie theatre’s been there since [the] 1920s. It was the first theater to have sound. It was just delicious to get to work with these other people. You had said, “Glenn and I always had a fabulous time writing songs together. Then we would sit around my kitchen table or in his little green house in Hawaii or in a rock star mansion he rented in the Hollywood Hills, and we would pick up several small Martin guitars and start noodling and jamming.” Would you care to share some more about any part of that experience? That does kind of sum it up. We wrote in all kinds of different places. First, you figure what’s on your mind. You talk to the guy and review what’s been happening. Then you just relax, and we loved hanging together because initially, we started out as friends. I never wrote a song with Glenn until I had known him for ten years. He had recorded two of my songs; we had sat and jammed, and he knew my songs. We started as friends, and we were comfortable, and we were not afraid to say anything in terms of bringing up lines for a song. And then we were also not afraid to throw any line away without no matter how good the line seemed if it didn’t seem to forward the song. We had this process that Glenn named “El Blurto.” We’d get to feelin’ good, and then we’d be playing, turn on the cassette recorder and just start making stuff up. Later we’d listen to it and lo and behold, there was a little piece of it that’s actually really good, so then we would have something to start working on. Or, sometimes Glenn’d show up and says, I’m gonna do a new album, and had already started writing down titles. When he wrote down the title, he also knew if it sounded like a soul song, or a balled, or rock and roll. So we’d start with a pretty good idea. We enjoyed each other’s company, so the whole thing was always really a lot of fun. But, we did do hard work. Besides the great guests and the great songs on the album, there’s also that unspoken thing about losing Glenn. How much did that play a role in how you approached these songs this time? Well, not that much because I’d started this album a year before Glenn died. I had most of it recorded, so it was just the finishing up that took place after he died. There’s a lot really emotional times for me because I’m finishing up recording all these songs and I’m thinking of Glenn and I when we were writing the songs and, you know. But I didn’t really – all the decisions about the songs were already made, and he knew I was recording it. I said, ‘Hey do ya want me to record all these songs?’ He said, ‘Great idea, go ahead.’ So, it was cool. It was almost a done project when he did die. I can’t even imagine. At some point, in some way, it must have felt like a piece of you was missing while you were doing it, as close as you were? Absolutely. Absolutely. Here’s all the work we did together. It comes to recording the songs, and he never gets to hear them; I never get to play them for him, my mentor. The song, “It’s Your World Now,” which I ended up recording with Chris Hillman and Herb Pedersen — I wrote that with Glen years ago. It’s him and I talking to our children; it’s him talking to his children a lot saying “Hey, you know what? At a certain point, I gotta move on, and it’s your world now.’ Glen came up with some fantastic lines in that song. That was very emotional for me, recording that song with him gone. Let’s visit all that for a moment. When I was a kid I did have that idea of taking mini-loops of sound and putting them with a keyboard or something. I saw it later, and it was called a Chamberlain. When I was on the road, I took a bass case, and I made it into what I called a ‘Go-Wild Station.’ It had a little four-track cassette recorder and about twenty other boxes like reverb and guitar pedals you had to plug in. So two guys could sit there and put on headphones and play into this thing and record. Glenn and I wrote a song that was called “On the Loose” — just sat there with this little ‘Go-Wild Station.’ Most of the time I went to use it, it didn’t work because everything didn’t work because everything had batteries and somebody’s battery was out. Of course, now, it’s in the iPhone. Yeah; that was huge. I would tune my guitar for a half hour before I went onstage and never got it tuned until the last two seconds; I just wasn’t good at that. Everything I need to write a song now is on my iPhone. “Smuggler’s Blues” was sampled by Coolio (Nature of the Business) & “You Belong to The City” by Jay-Z (City Is Mine). So, how do you feel about this? I love it! I mean, I love it cause I’m a songwriter, these guys are great, and they chose to do my song. Now they’re in a completely other genre, and so they changed the song quite a bit. People say, ‘Don’t you hate that when they change your song?,’ but usually I don’t hate it because an artist is not the same as a writer. An artist is a great singer, interpreter, fills the song with meaning, and it has to come from within the artist. A lot of times they have to take your song, and they have to change it so that they can make it their own. I understand that, and I don’t mind that. You have your vision of a song, but after a certain point, you put it out there and even if you don’t like what’s being done to it, unless it’s really disrespectful in some way, but other than that, you might like how it gets changed, but just the fact that others care enough about the song to want to do it, I think would be cool. Oh yeah. That is exactly how I feel. Once the song gets out there. It’s completely out of my control. It becomes its own thing; it belongs to the people. What are your thoughts on the “revived” Eagles with Vince Gill and Glenn’s son, Deacon Frey? I am thrilled! I am SO happy that they are doing that. Glenn would be totally delighted – they picked the best people. Vince Gill has been a good friend of Glenn’s for many years. He’s a great player, great singer, great writer. Just yesterday I saw a video of Deacon, Glenn’s son, singing “Peaceful Easy Feeling.” I just can’t get over — I mean he gives me a chill. First of all, he’s so like his dad. Aside from that, Deacon, the guy, is just great! He sings the songs from the heart; I mean, he’s really got it. Anything that you want to tell our fans about the the new album? I’m thrilled that people are enjoying it, and I hope to get out on the road and be supporting it, so I sure appreciate the interview. We appreciate you spending time with us.